Hybrid arcade Asian-American restaurants, historic Mexican and Italian eateries, spicy Indian cuisine and old-fashioned American comfort food are just a few options when it comes to dining in Los Angeles. After a long day of band rehearsals, choir practice or running lines for an upcoming theater production, students want to unwind with a delicious meal. When planning student trips, it is important to book hotels, organize group tours and plan locations for student performances. However, it is vital to remember that everyone in your student group needs to eat, and furthermore you might need to ensure that your chosen restaurants accommodate large groups. With that, here are our top five picks for dining options for student groups in Los Angeles. Located 10 minutes north of downtown LA, Button Mash is the perfect place to fuse food with fun and games. This arcade restaurant mixes Asian and American cuisine to produce delicious dishes such as garlic noodles, double-fried ginger chicken wings, a double cheeseburger and a Chinese chicken salad. With a plethora of options to choose from, including vegetarian, vegan and gluten-free choices, the eatery also offers inexpensive prices that accommodate students. The owners, Gabriel Fowlkes and Jordan Weiss, alongside authors of Starry Kitchen Thi and Nyugen Tran, created the idea to have a kid-friendly environment with arcade games that are reminiscent of the 1980’s and ’90s. To truly capture an old-school vibe, customers use tokens to play the games, which are priced like quarters. For example, four tokens are $1, 20 tokens are $5, etc., and there is no cover charge. Button Mash is ideal for large student groups, and reservations for groups of 10 or more can be made via email. There is also free parking in the lot in front of the restaurant, and on both sides of Sunset Boulevard. 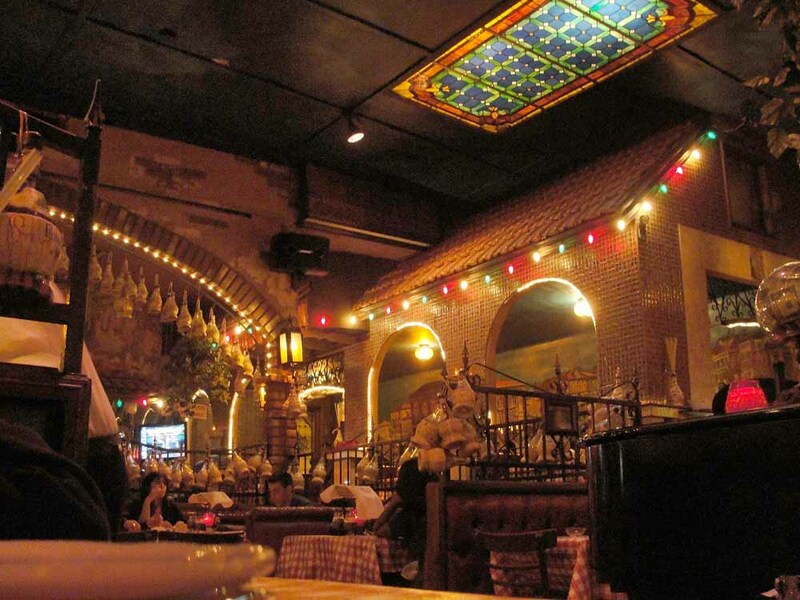 If you’re hoping to squeeze in a history lesson for your students as they dine, then El Coyote is ideal for you. Founders George and Blanche March opened the establishment in 1931 at its original location on First and La Brea Avenue. Now situated on Beverly Boulevard, it continues to be Hollywood’s favorite traditional Mexican restaurant. The eatery’s lively atmosphere, with vibrant, colorful art and Christmas lights left up all year, add to the spirit of the restaurant. Several Hollywood stars have appeared there, including Loretta Young, John Wayne, Drew Barrymore and even an unexpected visit from Princess Grace and Prince Rainier of Monaco. Episodes of many well-known TV shows have also been filmed there, such as The Hills and Ugly Betty. The “California-style” array of Mexican food provides plenty of variety, including burritos, tamales, enchiladas, tacos, fajitas and much more. In fact, one of the most popular dishes is the El Coyote pizza, a plate that is perfect for sharing. The reasonable prices and large spaces are excellent for student groups, as the restaurant has a seating capacity of 375, and around 95 staff members. El Coyote also creates menus designed specifically to accommodate any budget, and offers group reservations for groups of 10 to 100 or more. If your students would rather get a taste of Italy’s history as they dine, then Hollywood’s oldest Italian restaurant is the best fit. The two locations of LA-based Miceli’s Restaurants provide a wide assortment of Italian comfort food in an ambience mixing traditional Hollywood and contemporary LA. Located within 10 minutes of various hotel locations and just 30 minutes from downtown LA, the family-owned Miceli’s Restaurants were founded in 1949 by Carmen and Sylvia Miceli with the help of their siblings. Since then, the Miceli family continues to use old recipes that have traveled from Sicily to Chicago, and finally to their two locations in Hollywood and Universal City. A brief history of the establishments reveals that several celebrities have appeared at both locations, including Richard Nixon, John F. Kennedy, the Beatles, Julia Roberts and Adam Sandler. Student groups will also enjoy the energetic entertainment offered at the restaurants, as both locations showcase singing waiters and waitresses who perform famous show tunes. The homemade, authentic dishes include sandwiches, pastas, pizzas, seafood and many other options. Reservations can be made for large student groups, and the establishment even offers party menus at reasonable prices. 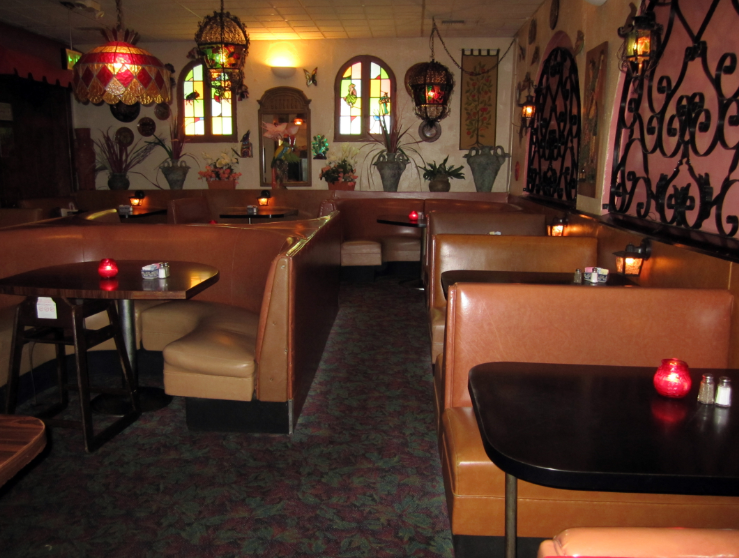 Also, The Basement, a private space at Miceli’s Hollywood location, can be rented for large gatherings. Since its conception in LA more than 16 years ago, India’s Grill has been dedicated to maintaining traditional Indian culture through flavorful cuisine that satisfies individuals of all backgrounds. The eatery has proven itself to be the go-to restaurant for Indian cuisine connoisseurs in LA. It is also devoted to providing its customers with tasty selections that present varying levels of spice, alongside all-natural and fresh ingredients without any preservatives or additives. India’s Grill can also prepare meals that meet dietary restrictions, including vegetarian curry and masala options. The restaurant also has poultry, lamb, seafood and tofu dinners, all at low prices. Located roughly 30 minutes away from downtown LA and Los Angeles International Airport (LAX), the eatery offers the opportunity to experience new cooking and to immerse yourself in a new culture. It is also great for student groups, as the restaurant features long hall-style tables that are perfect for accommodating large parties. Reservations can be made on the restaurant website by filling out a short form. 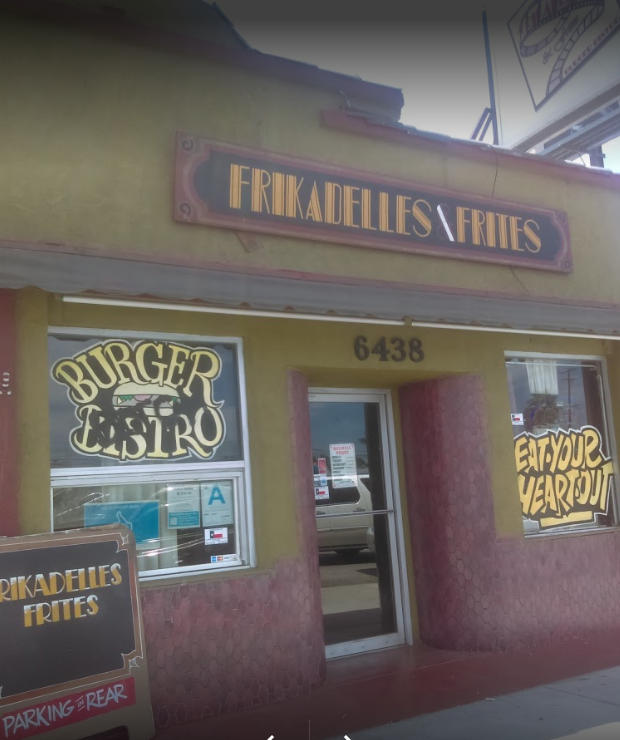 After a mini trip around the world of cuisine in LA, Frikadelles & Frites gives students the chance to sit down, relax and enjoy a homemade, American-style burger. Hard-working staff members provide first-class service and delicious dishes composed of a variety of comfort foods for all to enjoy. Located 20 minutes east of downtown LA, this burger joint offers indoor and outdoor dining that provides large student groups with the alternative of eating outside on a gorgeous patio to enjoy the LA weather. If students want to take a break from their long trip and unwind with familiar, homemade cuisine, this eatery extends several fast food options that put their customers at ease. Just some of the many choices on the menu are sliders, salads, wings, burgers and other main entrees. The casual environment makes it ideal for students, and you can also make reservations for large gatherings. Frikadelles & Frites ultimately gives students the opportunity to end their trip on a full stomach with inexpensive comfort food.